The best roofing contractors want their customers to understand what is necessary to extend a roof’s useful life. Unfortunately, many homeowners do not know much about roofs except for their primary function and maybe the type of shingles their roof is comprised of. An educated homeowner who understands the basics of roofing is more likely enjoy a long-lasting roof with minimal problems. 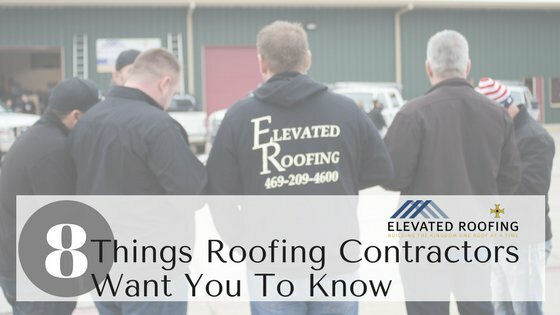 Let’s take a look at the most important things roofing contractors would like property owners to be aware of. The average homeowner might understand the basics of roofing materials yet he probably can’t gauge when a problematic area requires a repair, replacement or another approach. Do not attempt to assess your roof in a “DIY” (do it yourself) manner. 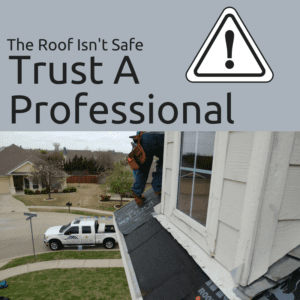 You need a legitimate roofing contractor’s opinion when it comes to your roof’s condition, pinpointing trouble spots and developing a plan of attack. Green roofing materials will keep your home as cool as possible during those scorching hot summer months. These materials decrease your energy bills as your cooling system won’t have to cycle on and off as frequently. Green shingles reflect a considerable amount of light away from the home. Some even ward off blue-green algae to boot. Add in the fact that a roof that is kept cool is more likely to stand the test of time and it is easy to see why so many homeowners are opting for green roof materials. Plenty of homeowners have successfully rolled the dice by skipping a year two of roof maintenance without enduring a major problem. However, homeowners who abide by a minimum of one yearly roof maintenance session enjoy longer-lasting roofs. Perhaps more importantly, regularly maintained roofs provide the opportunity to identify problems in their formative stages. It is much easier and cheaper to remedy a trouble spot before it unravels into a significant problem. It is always cheaper to repair than replace. A roof replacement can cost upwards of $10,000 or more while a roof repair might only cost $300 or so. It is quite tempting to get up on your roof by yourself. Don’t give in to temptation! Reach out to qualified and trustworthy roofing contractors to traverse your roof and perform an in-depth inspection. The typical roof has fairly sharp inclines that require a sure-footed roofing contractor who has years of experience walking on these unsafe surfaces. Roofing materials should be sourced from reputable suppliers. Certain roof cleaning chemicals can damage your roof as well as surrounding landscaping when the solution eventually runs off. Only trust experienced roofing contractors to use the proper materials and tools on your roof. No one looks forward to a roof repair or replacement. Have the work done as soon as possible so you can get this inconvenience out of the way and move on with life. Building codes and restrictions differ by area. 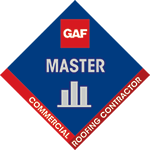 Your roofing contractor must understand these idiosyncratic rules and abide by them. Codes and restrictions are implemented to keep people safe and reduce energy consumption. The failure to adhere to local codes can result in prosecution from the city attorney and resulting fines. Code violations will also make it awfully difficult to sell your home.